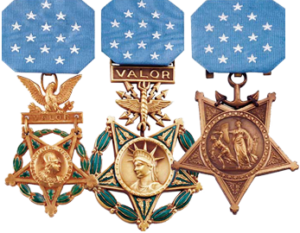 There are 965 Medal of Honor Recipients that received their award because of a campaign or conflict other than the major wars included in the prior pages. And to many it may be a surprise that the award has been presented many times during Peacetime. These recipients are presented in three sections of our Nation's timeline, beginning in 1826.